I was in New Joisey! 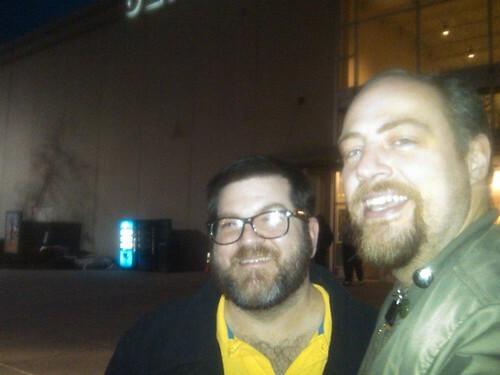 Milli Vanilli "Blame It On The Rain"
Had a wonderful time last night with goreyboy. Dinner and a movie. Too bad the movie - "I Am Number Four" - was kind of dumb. While I liked the pretty red and blue explosions (red for the bad guys, blue for the hero), the plot made very little sense. Why are the bad aliens trying to kill the last two (four?) good aliens? Does it not count as genocide unless *everyone* is dead? when it comes to cable. Glad you two had a good time going out. I'd heard the movie is dumb... might watch when it comes to cable. Nice that you two had a good time while out together.